Culture has played a prominent role in the realm of public diplomacy, to the extent that some argue it deserves to be recognised as a distinct form of diplomatic strategy. This debate is further complicated when we consider how heritage—in both tangible (e.g. artefacts, buildings, landscapes) and intangible (e.g. cultural traditions, cuisine, music) forms—has been utilised for diplomatic means. Unlike cultural diplomacy, which is generally understood as the exchange of cultural ideas, art and information between nations (or peoples) to benefit mutual understanding, heritage diplomacy can be wielded in a top-down one-directional fashion that ignores or restricts mutual engagement. And unlike public diplomacy, loosely defined as the targeting of a foreign audience (often through media, business or development aid) in order to promote a positive image of the donor entity, heritage diplomacy is often focused on individual projects, time-limited partnerships, or high-level negotiations. The general public in the recipient nation may be completely unaware of the involvement of an outside entity undertaking heritage conservation within their borders. Recent academic attention on ‘heritage diplomacy’ has highlighted its increasing prominence in numerous states’ strategies, and has demonstrated that it can be both a ‘soft’ and ‘hard’ type of power. In a sense, cultural heritage has been instrumentalised for diplomatic purposes for far longer than the modern diplomatic system: the gifting of rare national treasures between monarchs, and the multilateral debates about cultural property ownership and repatriation immediately following the Napoleonic Wars in Europe, are notable forerunners. Nonetheless, heritage seems to have become more embedded in international relations and bilateral engagements since the formation of UNESCO (United Nations Educational, Scientific and Cultural Organization, 1946) and the World Heritage Convention (Convention Concerning the Protection of the World’s Cultural and Natural Heritage, 1972),. These events helped forge an international framework within which nations assign value, seek global recognition and promote their heritage. As several studies have now shown, nations use the very system that ‘protects’ this heritage as another forum for diplomatic negotiation, pacts and reciprocity. Another important influence has been the enhanced visibility of development agendas that has been facilitated by globalisation and the internet. This has provided further incentive for bi- or multilateral heritage partnerships, because the donor can promote these as ‘innocent’ or ‘philanthropic’ initiatives intended to support sustainable development in the recipient nation. A narrative of ‘shared’ or ‘mutual’ heritage may serve as the rationale for bi- or multi-lateral relations that include conservation alongside tourism and infrastructure development, resource deals, political influence and market access. 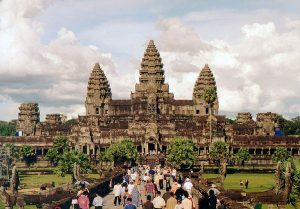 China has been heavily involved in development assistance and investment in countries such as Cambodia, Sri Lanka and Myanmar; Buddhism and the Silk Road land and sea routes are evoked as historical precedents for collaboration. Conversely, disagreement about origins of a cultural tradition can inflame already tense diplomatic relations. There are numerous examples that could be listed here, such as the dispute between Armenia, Turkey, Azerbaijan and Iran over the origin of lavash (added to UNESCO’s Representative List of Intangible Cultural Heritage in 2014 as an Armenian traditional bread); and the ongoing competition between Indonesia and Malaysia over several cultural traditions including Batik print fabric, ballads and folk dances. Patronage of a nation’s heritage by an external entity can be part of a broader strategy of image rehabilitation, and here the United States serves as a case in point, with its recent investments in Iraq, Afghanistan, the Balkans and parts of South America. Supporting the heritage of other nations is also a strategy for small or ‘middle power’ countries seeking to enhance bilateral relations. Scotland has done this with its Scottish  digital heritage program, circumventing the devolution agreement with the British Parliament that Scotland would not independently engage in foreign affairs.10 Japan, too, has an extensive track-record providing support—especially for ‘intangible’ heritage—in neighbouring Asian nations and thus promoting its image as a benign, friendly regional power. 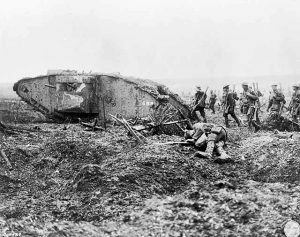 Two recent Australian examples reveal the complexities of involving heritage bi- or multi-lateral relationships: the Howard Government’s attempts to list specific heritage sites overseas as ‘Australian’, and the more recent multi-million dollar investment in Western Front war heritage carried out under the guise of First World War Centennial commemorations. The first example is noteworthy because of the rather clumsy way in which it was undertaken. As I have detailed elsewhere, in 2003 the Australian government announced it was implementing a new heritage listing system, and that foreign sites with Australian connections would be considered for inscription. 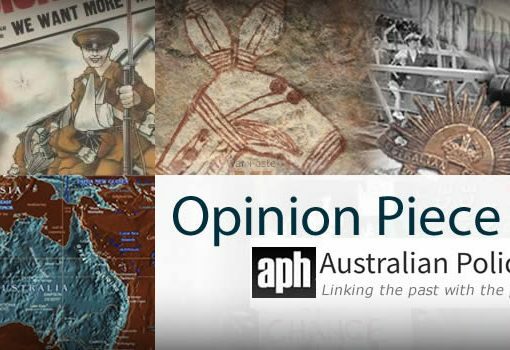 It is apparent from press coverage that the government was keen to register places such as Anzac Cove (Turkey) and the Kokoda Track (Papua New Guinea) on the Australian National Heritage List because of their significance to Australian identity narratives. Yet to do so would have opened a legislative Pandora’s box. These were sites that were clearly outside Australian jurisdiction, and even if the respective sovereign authorities had consented to such an action, it is uncertain how much control the Australian government would have had over conservation and site access if they had been listed. By early 2007, having failed to list any foreign sites on the National Heritage List (despite discussions with Turkish and Papua New Guinean authorities), the Australian government devised an alternative: a ‘List of Overseas Places of Historic Significance to Australia’ that would be symbolic in nature and have no ‘legal or sovereignty implications for Australia or for other foreign countries’. 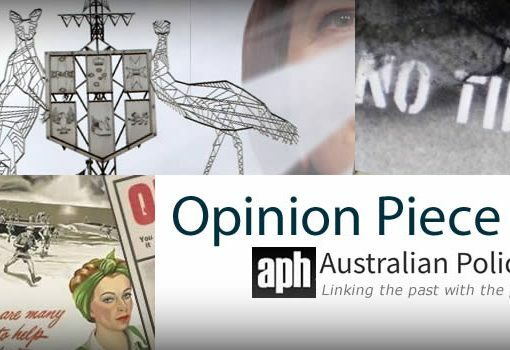 Of the scant internal documents that have been released through Freedom of Information requests, it is evident that foreign governments continued to express reservations to their Australian counterparts about these ‘symbolic’ listings. 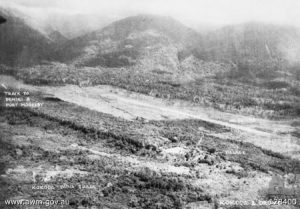 In the first—and only—round of inscriptions, Anzac Cove (Turkey), Kokoda Track (Papua New Guinea), and Howard Florey’s Laboratory (UK) were approved. Although this list remains active in legislation, it appears that no further attempts to inscribe have been made—quite possibly because of the diplomatic implications. Despite this hiccup, the Australian Government has enjoyed some success with heritage diplomacy in recent years. The centenary of the First World War provided an ideal platform for nations—foremost among them, Australia—to engage in a frenzy of war heritage projects, memorial constructions and refurbishments, as well as sombre diplomatic displays of multi-lateral remembrance. In preparation for the 2014-2018 program of events, multi-million dollar grants from the Australian Government were provided to Turkey, France and Belgium to repair and conserve existing heritage and construct new museums and interpretative features such as walking trails. Unlike the earlier attempts to list overseas heritage, in this instance the Australian authorities instead provided funding and engaged in bi- and multi-lateral conservation collaborations. 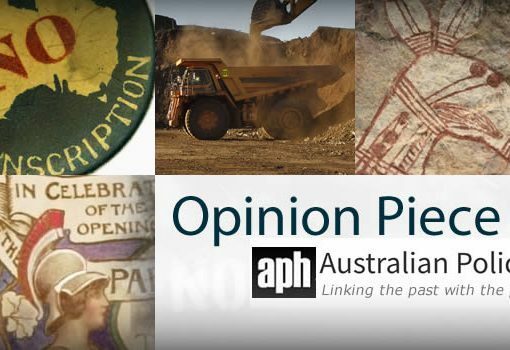 The message was clear: while undoubtedly significant to Australia, this was a shared heritage that was deeply embedded in the landscapes and histories of several nations. These Australian examples and the initiatives mentioned earlier are just a small assortment of what national governments have implemented over the past two decades, and do not begin to scratch the surface of other types of heritage diplomacy (e.g. diaspora, non-governmental organisations, multinational companies, etc.). Indeed, some nations—the United States, Turkey, Japan, South Korea—have already taken the next step by introducing outward-facing cultural agencies that include heritage diplomacy amongst their core business. What this shows is that heritage—and therefore history and cultural identity—is an undeniable facet of diplomatic relations that historians, heritage practitioners and policy-makers cannot ignore. * Amy is a Lecturer in History at the University of the Sunshine Coast. She specialises in heritage (particularly architectural), diplomacy and identity politics, and British and Australian socio-cultural histories. She has a PhD, MSc (Res), GradCertTertT, and BA (Hons 1). 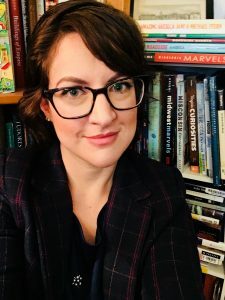 Amy is a Duke University Fellow (2018-19), serves on the Editorial Board of the Society of Architectural Historians of Australia and New Zealand (SAHANZ), and is an elected Full International Member of ICOMOS. She appears regularly on Australian radio and television as a cultural history and heritage commentator. 1 Patricia M. Goff, “Cultural Diplomacy,” in Oxford Handbook of Modern Diplomacy, ed. Andrew F. Cooper, Jorge Heine, and Ramesh Thakur (Oxford: Oxford UP, 2013). 420; Gay Mcdonald, “Aboriginal Art and Cultural Diplomacy: Australia, the United States, and the Culture Warriors Exhibition,” Journal of Australian Studies 38, no. 1 (2014). 18-19. 3 See, for instance: Tim Winter, “Heritage Diplomacy,” International Journal of Heritage Studies 21, no. 10 (2015); Amy Clarke, “Heritage Diplomacy,” in Handbook of Cultural Security, ed. Y. Watanabe (London: Edward Elgar, 2018). 4 Astrid Swenson, “The First Heritage International(S): Conceptualizing Global Networks before Unesco,” Future Anterior: Journal of Historic Preservation, History, Theory, and Criticism 13, no. 1 (2016); Nancy Cushing and Kevin Markwell, “Platypus Diplomacy: Animal Gifts in International Relations,” Journal of Australian Studies 33, no. 3 (2009). 5 See, for instance, Lynn Meskell, “Unesco’s World Heritage Convention at 40: Challenging the Economic and Political Order of International Heritage Conservation,” Current Anthropology 54, no. 4 (2013); Christoph Brumann, “Shifting Tides of World-Making in the Unesco World Heritage Convention: Cosmopolitanisms Colliding,” Ethnic and Racial Studies 37, no. 12 (2014); Enrico Bertacchini, Claudia Liuzza, and Lynn Meskell, “Shifting the Balance of Power in the Unesco World Heritage Committee: An Empirical Assessment,” International Journal of Cultural Policy 23, no. 3 (2017). 6 See, for instance: June Wang, “Relational Heritage Sovereignty: Authorization, Territorialization and the Making of the Silk Roads,” Territory, Politics, Governance 2017 (2017); “Diplomacy in Bloom,” Beijing Review, 19 April 2018; Tim Winter, “Heritage Diplomacy: Entangled Materialities of International Relations,” Future Anterior: Journal of Historic Preservation, History, Theory, and Criticism 13, no. 1 (2016). 7 Bahar Aykan, “The Politics of Intangible Heritage and Food Fights in Western Asia,” International Journal of Heritage Studies 22, no. 10 (2016). 8 Tod Jones, “International Intangible Cultural Heritage Policy in the Neighbourhood: An Assessment and Case Study of Indonesia,” Journal of Cultural Geography (2018); Marshall Clark, “The Politics of Heritage: Indonesia-Malaysia Cultural Contestations,” Indonesia and the Malay World 41, no. 121 (2013); Murphy Halliburton and Lorraine V. Aragon, “Copyrighting Culture for the Nation? Intangible Property Nationalism and the Regional Arts of Indonesia,” International Journal of Cultural Property 19, no. 3 (2012). 9 Christina Luke, “The Science Behind United States Smart Power in Honduras: Archaeological Heritage Diplomacy,” Diplomacy & Statecraft 23, no. 1 (2012); “Cultural Sovereignty in the Balkans and Turkey: The Politics of Preservation and Rehabilitation,” Journal of Social Archaeology 13, no. 3 (2013); William C. S. Remsen and Laura A. Tedesco, “Us Cultural Diplomacy, Cultural Heritage Preservation and Development at the National Museum of Afghanistan in Kabul,” in Museums, Heritage and International Development, ed. Paul Basu and Wayne Modest, Routledge Studies in Culture and Development (New York: Routledge, 2015). 10 Amy Clarke, “Digital Heritage Diplomacy and the Scottish Ten Initiative,” Future Anterior: Journal of Historic Preservation, History, Theory, and Criticism 13, no. 1 (2016). 11 Natsuko Akagawa, “Japan and the Rise of Heritage in Cultural Diplomacy: Where Are We Heading?,” ibid. 12 Amy Clarke, “Heritage Beyond Borders: Australian Approaches to Extra-National Built Heritage,” Archaeologies 13, no. 1 (2017). 13 Ken Heffernan, “Brief: Status of the List of Overseas Places of Historic Significance to Australia (Lophsa),” ed. Department of Environment and Water Resources (Heritage Strategy Branch) (Canberra: Commonwealth of Australia, 2007). 14 Clarke, “Heritage Beyond Borders: Australian Approaches to Extra-National Built Heritage.” 167. See also: Joan Beaumont, “The Politics of Memory: Commemorating the Centenary of the First World War,” Australian Journal of Political Science 50, no. 3 (2015).